Anyway, I was home sick from work this week and finally made the pumpkin bread that I had been craving. It was good. It was the only thing I ate for two days. Don’t judge me. I was sick and when you are sick you get to eat whatever you want. 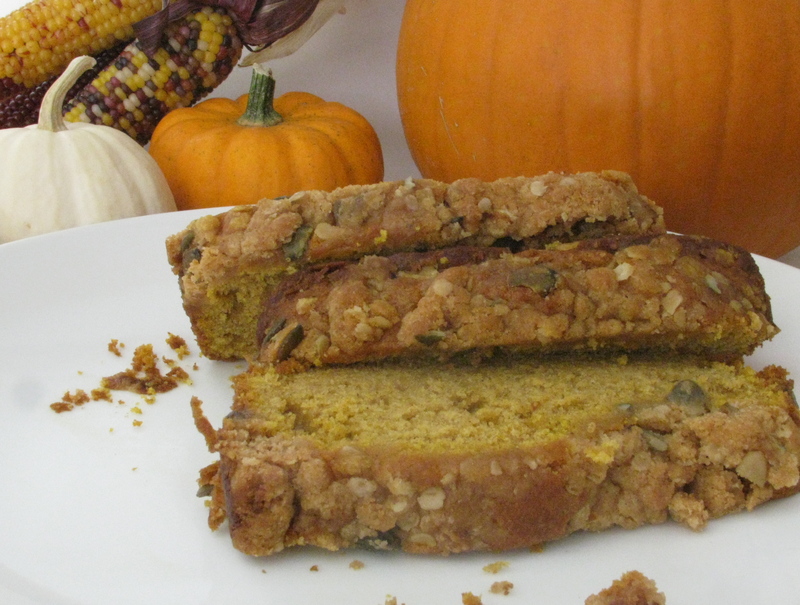 I am embarrassed to say that I did not use the $6.00 organic pumpkin I had purchased solely for baked goods. 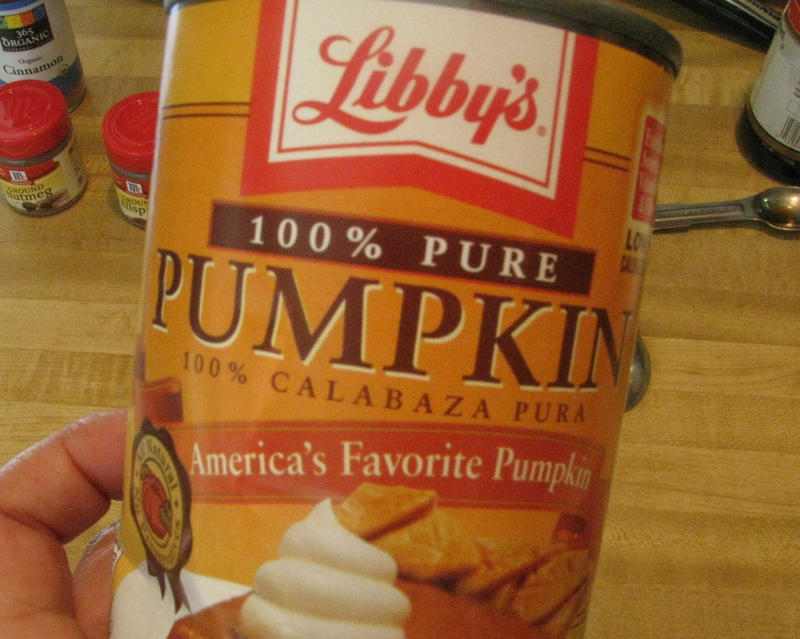 I made a special trip to the store to get grapefruit juice and allspice and then gave in and bought their last can of Pumpkin Puree. Which, if you look on the bright side, means I have more pumpkin just for baking. I made two loaves–one with bittersweet chocolate chips and one without. 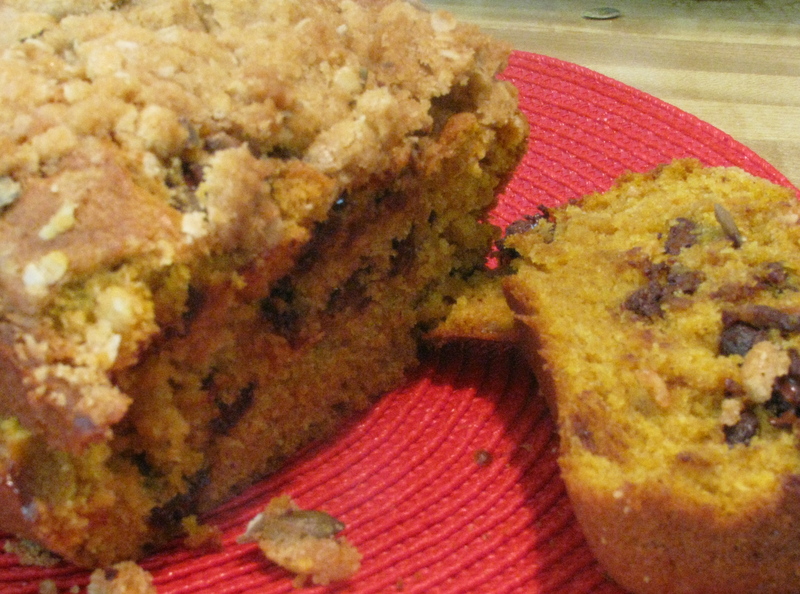 Of course, the chocolate chip loaf was gone first. The non-chocolate loaf was in the refrigerator for a couple of days and tastes absolutely perfect cold. It cuts easily, is moist, and so super good. 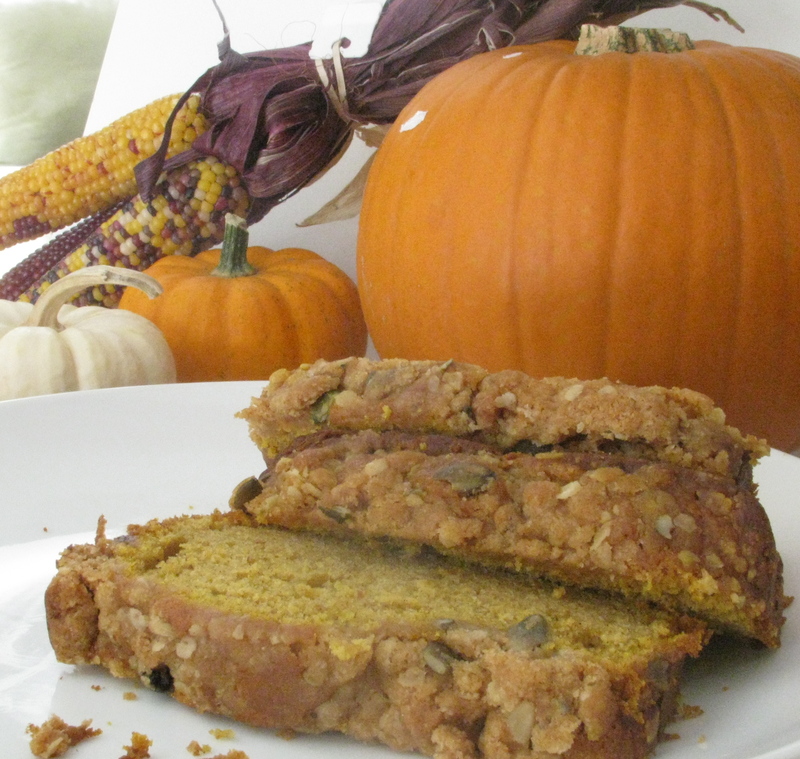 You will never buy the seasonal pumpkin bread from that coffee shop again. 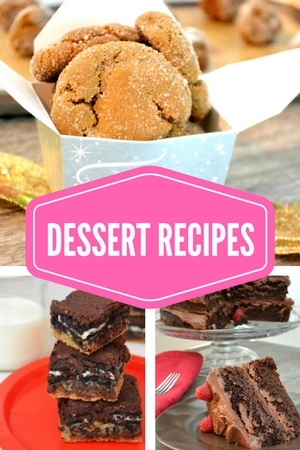 Here is recipe….it is super easy and takes only about 15 minutes to mix up and about 70 minutes to bake. Your house will be filled with most loveliest of smells! 1) Heat oven to 350 degrees. Prepare two loaf pans. 2) Make the crunchy topping: In a small bowl, add the butter, sugar, flour, oats and spices. Using a fork or your fingers, mix together until well combined—it should be a crumbly texture. Toss the pepitas to cover them with the crumbles. 3) Cream together the butter and sugars. Add eggs and vanilla. Stir in the pumpkin puree. 4) In a separate bowl, combine the dry ingredients—flour, baking powder, baking soda, salt, and spices. Gently stir them together. 5) Slowly add the dry ingredients to the butter/pumpkin mixture. Mix until they are combined. 6) Add 1 tsp of vinegar to the milk. 7) Add the milk/vinegar to the bread. 8) Stir in 1 cup of chocolate chips. 10) Sprinkle with the crunchy topping—making sure to evenly coat each loaf. This is the best part of the bread so you really want to get a lot on each loaf. Bake at 350 degrees for 70-80 minutes or until your house smells delicious and a knife comes out clean. Let cool slightly and then dig in! Sounds yummy! I love that fall is here so I can start baking my favorite cookies~pumpkin chocolate chip.